It was only ever going to be a matter of time until oral hygiene gadgets and smartphones became in some way or another linked. 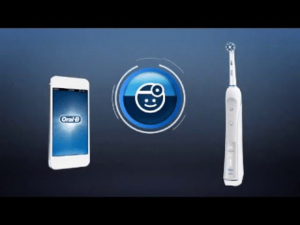 After all, there’s an app for everything else in the world – why not oral health? 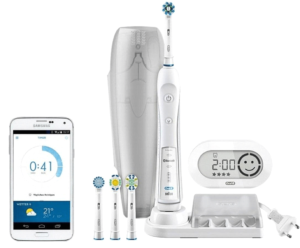 Which is precisely where the Oral-B Pro 6000 SmartSeries comes into the equation, which according to the manufacturer boasts the title of being the world’s first to support Bluetooth 4.0 connectivity. That’s right – a toothbrush that can be connected wirelessly to your mobile phone and has its own custom designed-app. 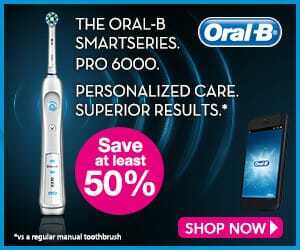 Which begs the question – does this really improve the performance of the Oral-B Pro 600 SmartSeries, or is it simply a gimmick to drive sales? Bizarre as it may come across at first, the Oral-B Pro 6000 SmartSeries is actually a seriously cool piece of kit and the Bluetooth Technology really does enhance the experience enormously. 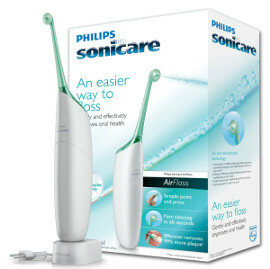 If you’re looking to compare this electric toothbrush to the other top products available then please read this article. In terms of design, the Oral-B Pro 6000 SmartSeries is understated and elegant, though perhaps doesn’t come across as quite as refined as it actually is. If it wasn’t for confirmation of its Bluetooth technology on the front, you might well mistake it for a cheaper brush. Still, it’s extremely comfortable to use, it looks the part and is surprisingly lightweight, given the technology. 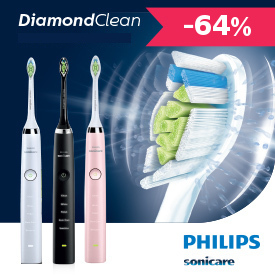 As for battery life…well, it is largely common knowledge these days that Oral-B doesn’t quite live up to the same standards as Philips in this particular department. 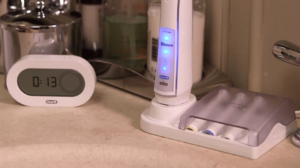 While the manufacturer claims that the Oral-B Pro 6000 SmartSeries will usually be good for a full week following a single charge, chances are you will find it running out of juice in around five days. But once again, this is something that can largely be attributed to its Bluetooth technology, which requires significantly more energy to operate than a toothbrush without this kind of connectivity. On the whole, there’s only been one specific criticism thrown the way of the Oral-B Pro 6000 SmartSeries, which is of course its price. On the plus side, the prohibitively expensive launch price has now come down more than 50%, making it nothing short of a bargain. Of course, it’s true to say that if you took away the Bluetooth connectivity, mobile app, Wireless Smart Guide and so on you’d be left with a much cheaper product, there’s really no denying the fact that these additional gadgets bring something genuinely appealing into the equation. Battery life may be somewhat on the disappointing side, but given the fact that most users charge their electric toothbrushes every day, 5 to 7 days from a single charge really isn’t too bad. 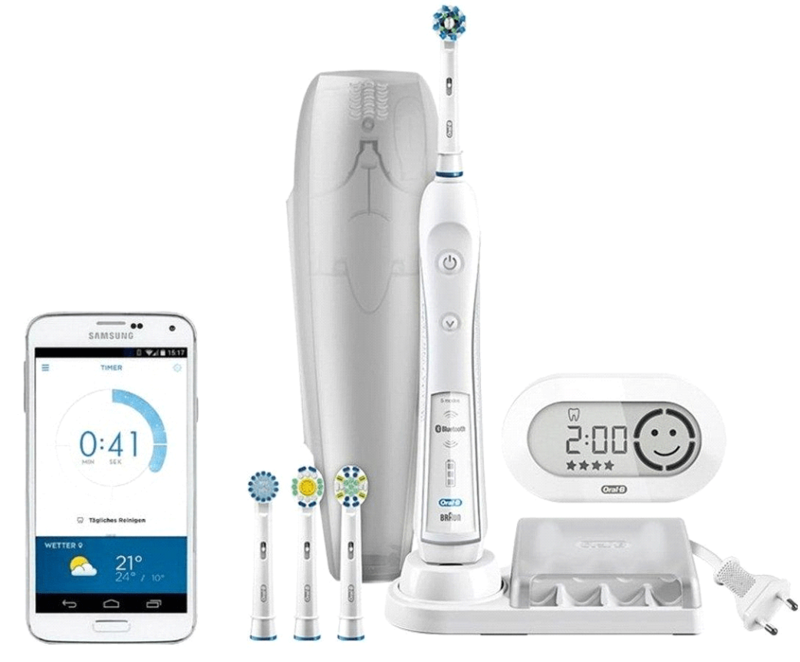 So if you like the idea of tapping into cutting edge technology to keep an eye on your oral health, the Oral-B Pro 6000 SmartSeries could be just the tool for the job. Daily Clean. The standard setting for brushing your teeth morning and evening, complete with a 2-minute timer. Gum Care. Designed to effectively clean and massage the gums, promoting better gum health and improved oral hygiene in general. Sensitive. For those with sensitive teeth and gums, this mode reduces the speed and power of the brush to provide a comprehensive clean that is significantly gentler. Whitening. The whitening mode has been designed specifically to help remove stains and give the surface of the teeth a thorough polish. Deep Clean. 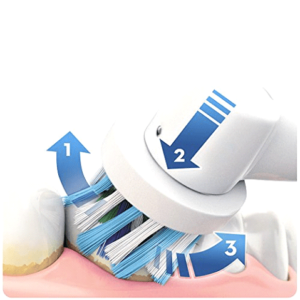 For the most intensive and impressive clean of all, this setting ups the power of the brush to give your teeth the same kind of clean you’d expect from a professional dentist. With the Oral-B Pro 6000 SmartSeries, the manufacturer set out to create something suitable for every mouth and every brushing preference. With five equally impressive brushing modes, this is one brush that ticks all the right boxes. 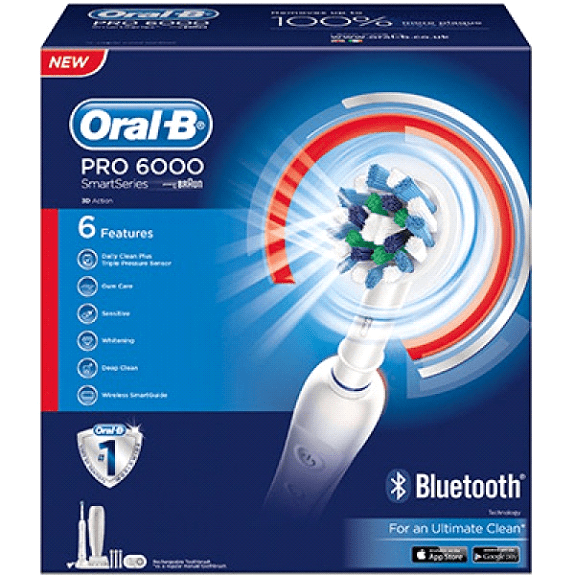 Moving on to the so-called ‘smart’ properties of the Oral-B Pro 6000 SmartSeries – exactly what (if anything) does Intelligent Bluetooth 4.0 technology bring to the table? Or more importantly, are you really going to get anything out of the accompanying software? How it works is relatively simple though incredibly innovative. 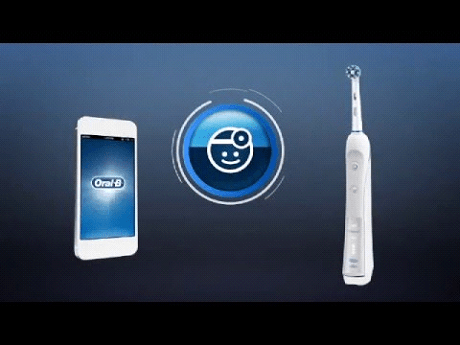 In the simplest possible terms, the Oral-B Pro 6000 SmartSeries connects to a specially designed software application, which tracks your oral hygiene habits and reports that data back to you. The idea being that you get to take much better control over your oral health in general, making improvements where necessary and generally enjoying the process much more. The whole thing can be customised to your own preferences, the application displays helpful oral health tips and you can even get your dentist involved. Also extremely helpful and indeed entertaining is the Wireless Smart Guide that comes supplied with a brush. This is a small separate device that can be positioned on a surface or mounted on the wall, which provides you with personalised coaching on your daily oral health. It establishes a five-star rating system, encouraging you to up your game by recording, rating and reporting back on the quality of your oral hygiene regimen. To a certain extent, it’s like having your own personal dental health supervisor right there in your pocket, in order to offer advice and guidance along the way. If you work in accordance with the app long-term, you are largely guaranteed to be rewarded with better oral health. 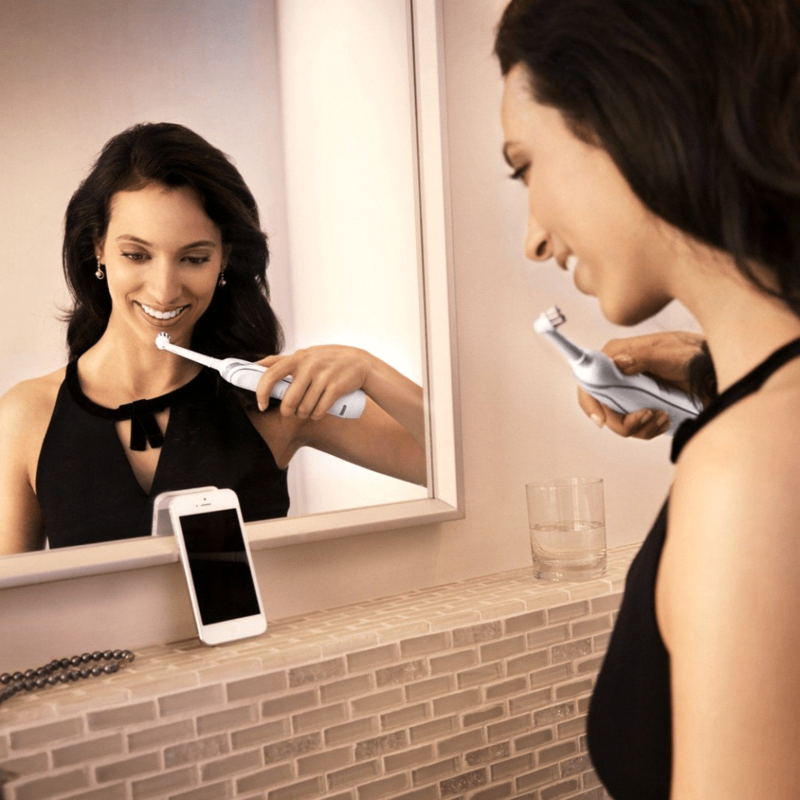 Along with a guarantee of up to 100% better plaque removal than a manual toothbrush, the Oral-B Pro 6000 SmartSeries also features pressure sensitive technology to prevent the user brushing too hard. There is of course a 2-minute timer built in to help ensure you brush for the optimum amount of time morning and night, but there is also a handy feature that tells you when the time has come to move on to a different part of your mouth.